Computer center in Institute of Physics, Bhubaneswar is responsible of managing IT infrastructure in various departments/sections of the Institute. The centers activity ranges from Server administration, hosting various services to laptop/desktop management of users. Center extends its supports in a hybrid environment constitutes of various operating system like unix-based (Cent OS, RedHat, Fedora, Ubuntu), MS Windows and MAC OS. Currently, center hosts its own mailing system/service, NIS, NFS, centralized data storage. On computational front, 3 (three) clusters and SAMKHYA- High Performance Computing Facility is hosted and maintained by center. Various proprietary software like Mathematica, MATLAB and open source software are installed as per user's requirement. The internet connectivity is provided by two Internet Service Provider, each at 128 Mbps. 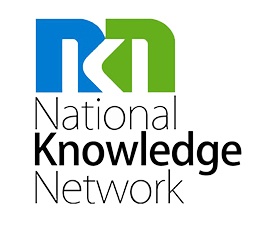 The Center maintains 1 Gbps link from National Knowledge (NKN). The network infrastructure consists of load balancer, UTM, switches provides seamless connectivity. The wireless in and across various buildings and ADSL is used at residential campus for connectivity. Institutes Web server, Intranet server and web related development activities are in-house and carried out by web development team. Computer center operates with bio-metric system on 24 X 7 basis.